What Make Acquisition and Merger Negotiations Successful? In business, acquisition means having one company take the assets of another while merger is used to denote the merging of two companies. As a result, a new company emerges. However, mergers and acquisitions can be hard to achieve. There are some factors that determine the success of acquisition and merger negotiations. It is a well-known fact that on average the acquiring party pays up to 25% more than the value received in acquisitions. There are various reasons for this. One of the key ingredients in our opinion of successful negotiations of an acquisition or merger is that you must identify the right individual and team to interact and negotiate with the other party. Some people are better suited to negotiate and are more authentic than others. Authentication is absolutely necessary for successful negotiations.The individual or the team that represents the company should be seen with authenticity in intentions and dealings. Credibility plays an indispensable role in any negotiation. The individual or the team that represents the parties should have etched untainted credibility in the corporate world. No one would entrust his/her company to a less credible group or individual. 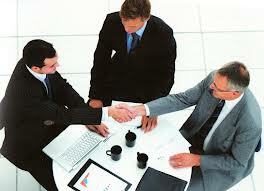 However, credibility is not just all about image because during the deal, people have their credibility tested. The company’s credibility will also be checked. In the success of any acquisition and merger negotiations, it is not just people’s credibility that will be put to test but as well as the companies involved in the deal. Some companies who really want to seal the deal in acquisition and merger negotiations bank on the preparedness and experience of a certain individual or team to do the negotiations for them. The preparedness and experience of negotiators can seal the deal with even the most antagonistic co-negotiators. Give it to years of practice of being nice and antagonized. Whatever comes, experienced and prepared negotiators see things and approach them with the goal in mind that is sealing the deal. In negotiations involving acquisition and merger, negotiators who are assertive make the deal successful. Assertive negotiators are not unfriendly or antagonistic. They are just confident, self-assured, and direct to the point. They are focus to the goal and are not shaken with anything that may come during the negotiation because they are also self-composed. Throw them anything and they could be as business-like as they are. It is always important that there is someone in your team of negotiators who knows how to put himself/herself in the shoes of others. Having your company taken over by another company through acquisition would not be easy for you. It is at this point that being emphatic in a negotiation counts the most. However, it does not mean that being emphatic suggests being submissive to the other party’s demands. Empathy should be coupled by firmness. Not all acquisitions and mergers are successful. The negotiator or negotiators make the success of every transaction. That is why it is important that the parties involved in the merger or acquisition negotiations send negotiators who are authentic, credible, prepared and experienced, assertive and emphatic.